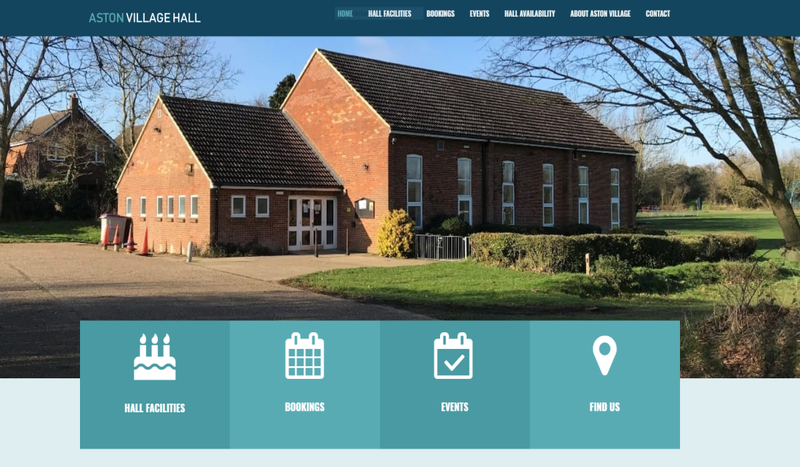 It’s always a bit more special to launch a new website for a client who is part of our community so we are extra happy to announce that the new site for the Aston Village Hall is now live! This is the BEFORE shot…click on the link below to see the AFTER transformation into the present. 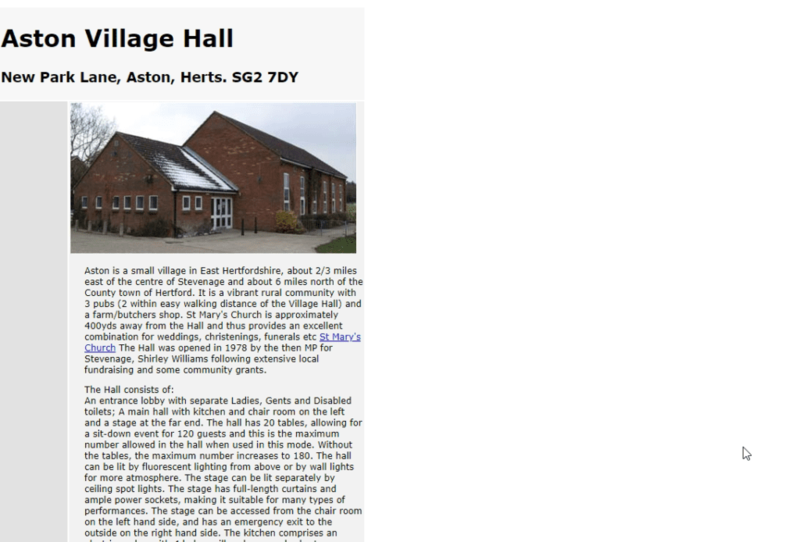 The website available at https://www.astonvillagehallherts.org.uk/ now has an events calendar built in so you can see the availability of the hall on various days of the week. Wishing all the Aston Village Hall Committee the best of luck with the new website and thank you for choosing to work with us!